Collins Booksellers - Atlas of Laparoscopy and Hysteroscopy Techniques, Third Edition by Tulandi, Togas, 9781439804292. Buy this book online. This beautifully illustrated book provides a practical step-by-step guide to all the laparoscopic and hysteroscopic procedures performed by gynecologists. Each procedure is described in detail and fully illustrated with color photographs. The potential complications are described, and the circumstances in which a procedure is contraindicated are examined. 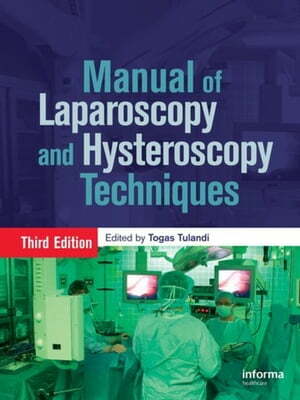 The Third Edition of the "Manual of Laparoscopic and Hysteroscopic Techniques" has been expanded and extensively updated with new chapters including: transvaginal hydrolaparoscopy, laparoscopy radical trachelectomy, laparoscopic abdominal cerclage, and hysteroscopy sterilization. "Manual of Laparoscopic and Hysteroscopic Techniques" is an invaluable resource for busy practicing gynecologists who want to learn step-by-step techniques of a surgical procedure.